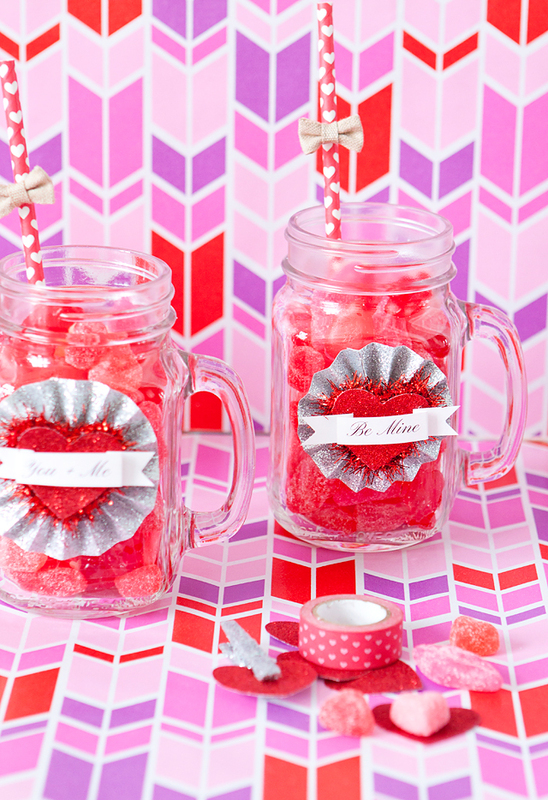 I’m excited to team up with Target’s One Spot to create some fun Valentine’s using their darling products from their One Spot from American Crafts. 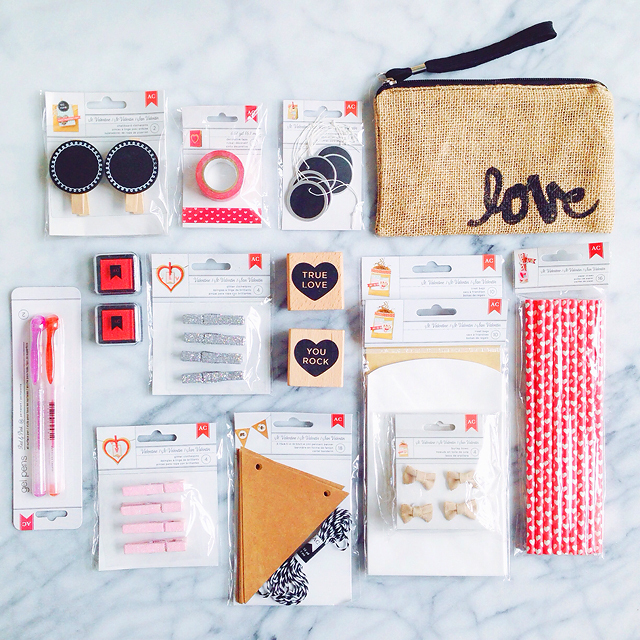 They have some really amazing American Craft products in their One Spot section right now ranging from only $1 to $3! 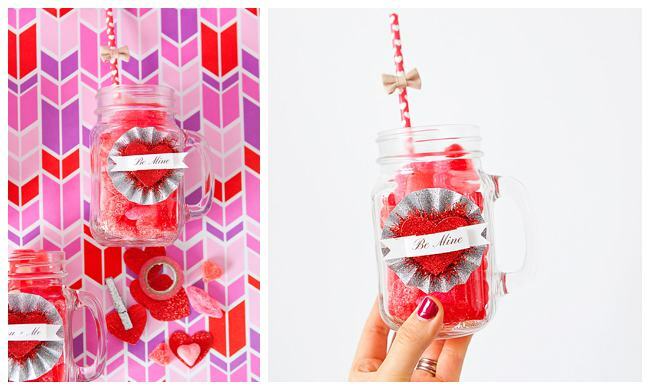 They have over 40 amazing products ranging from washi tape, to paper straws, to glittery paper. Be sure to head to your Target asap, because they are bound to sell out quick! 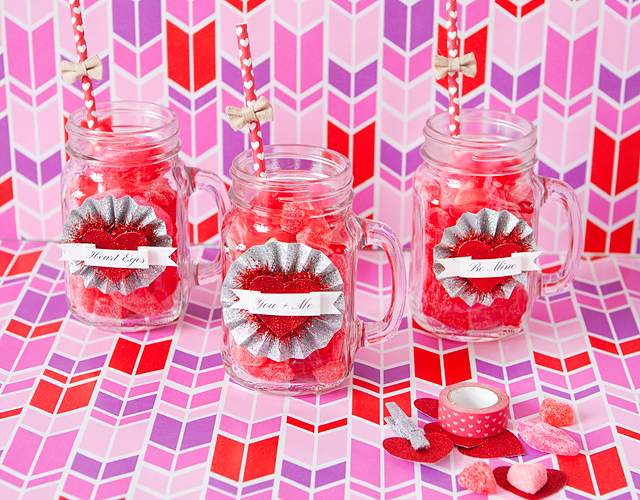 I decided to make a few tasty Valentine jars for some friends! Here’s how I made them. 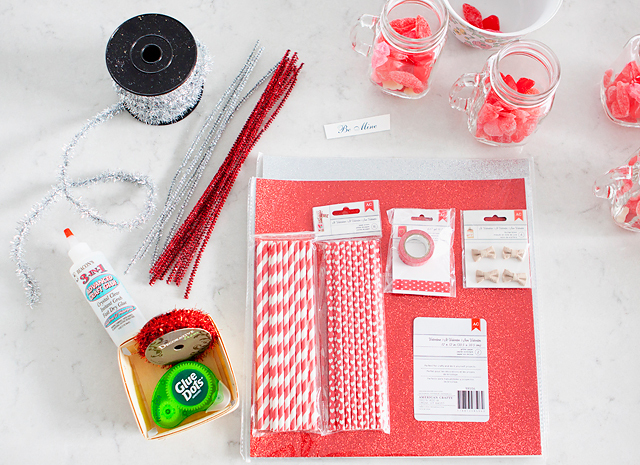 2) Cut out strips of silver glittery paper. My strips were about 1 inch by 12 inches. 3) Fold the paper strip back and forth accordion style. 4) Glue together the ends. 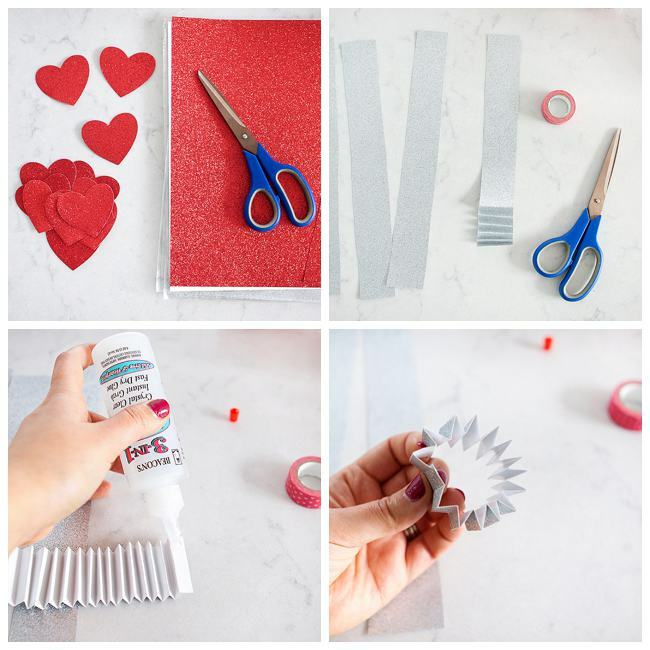 5) Fold the accordion in, and secure the middle together by gluing in with fast drying craft glue or a hot glue gun. 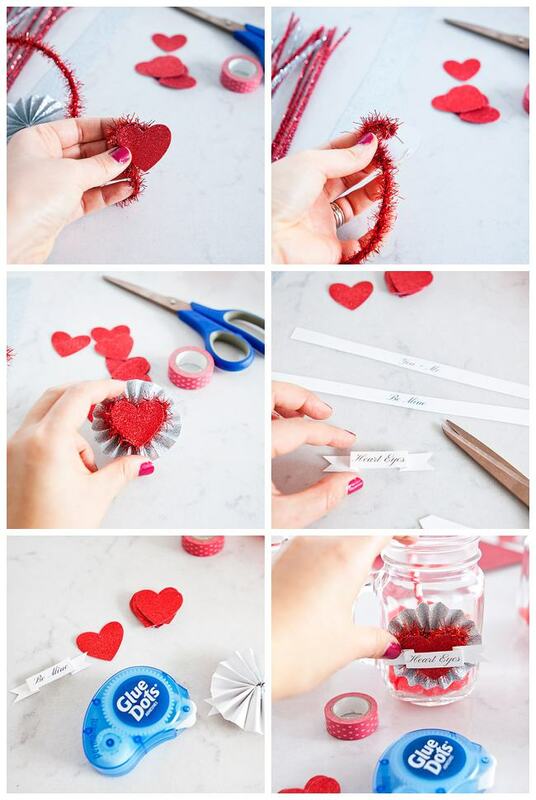 6) Take your cut out heart, and hot glue some sparkly trim or a pipe cleaner around the back rim of the heart. 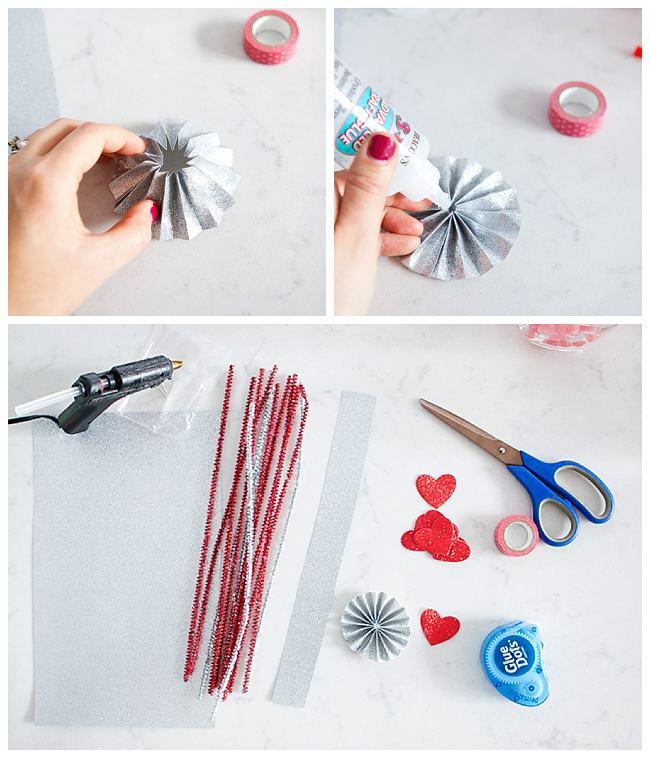 7) Glue the sparkly trimmed heart to the center of the glittery paper accordion. 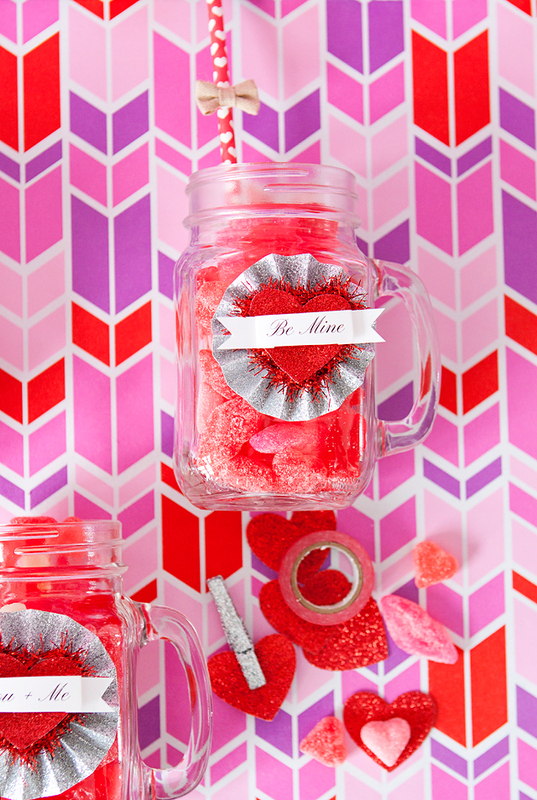 8) Print out a few Valentine sayings on to white card stock. 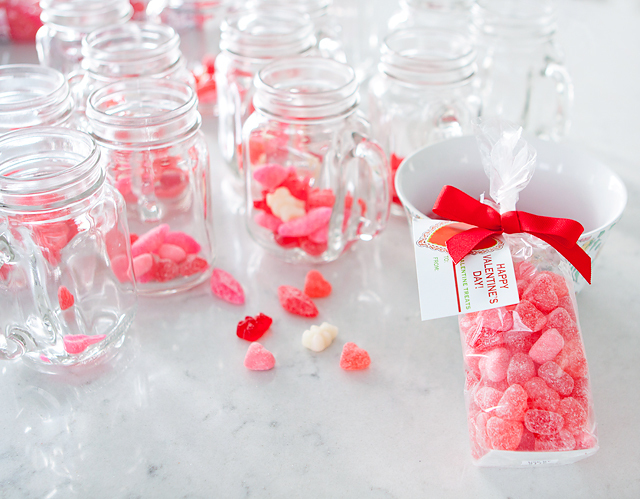 Some I used were- Be Mine, Valentine, I Love You, Heart Eyes, I Heart You, Love, You’re Awesome, You + Me. 9) Cut out the strips of paper then, fold each end down near the end and beginning of the words then back up, and trim the edges in a V shape. 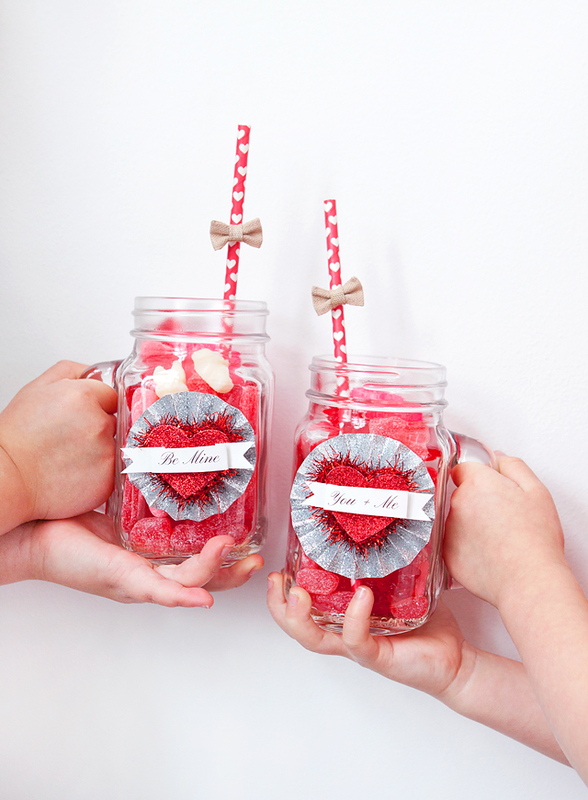 10) Glue the white paper strip to the heart, then secure it to your glass jar with some glue dots. 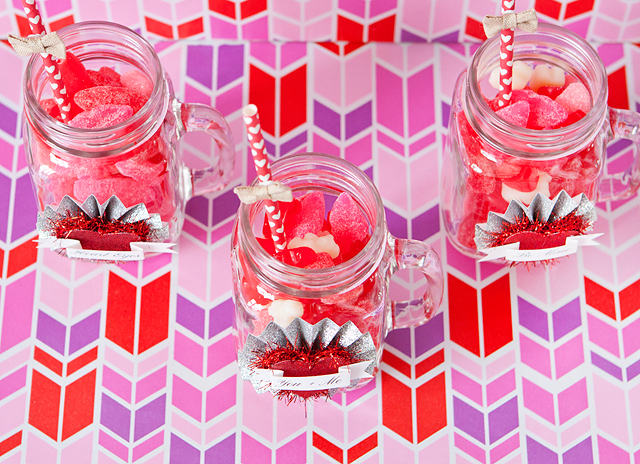 11) Fill the jar with candy, and place a little mini burlap bow onto the paper straw and place inside the jar. 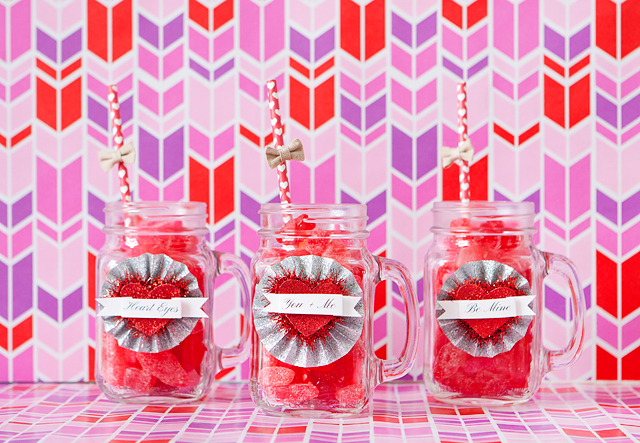 Cheers to homemade Valentine’s for your loved ones!